Matter2Wave. Generates a zero phased composed sound based in input recording, say a word and it will generate the list of formants, playing generated tone you will hear the vibration associated to the substance related to this word. 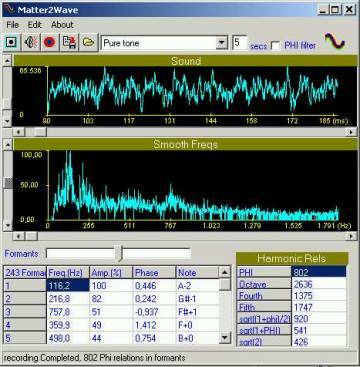 Additional effects based in brain wave differences can be added.